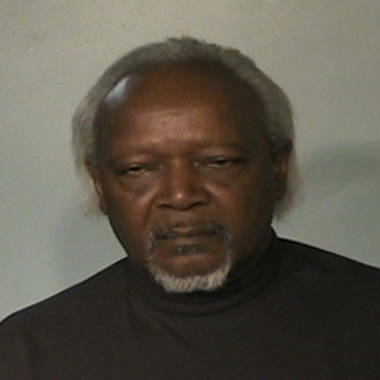 Brunswick City Commissioner James Henry Brooks, 59, was arrested on Thursday. The commissioner of a town where a baby was shot to death was arrested Thursday, the sixth arrest since the small Georgia community was shaken by last week's attack. Brunswick, Ga., city commissioner James Henry Brooks was charged with influencing a witness and willful obstruction of law enforcement officers in the investigation into 13-month-old Antonio Santiago's death, Glynn County Undersheriff Ron Corbett said. Brooks, 59, was still in jail Friday because no bond had been set for the charge of influencing a witness, Corbett said. A bond of $1,256 was set on the other charge. Antonio's mother, Sherry West, says she was on her morning walk last Friday when two teens came up to her and demanded money. When she told them she didn't have any cash, she says, the older teen shot Antonio in the head and her in the leg. Her injury was not life-threatening. Brooks' charges stem from a Monday courthouse incident in which he allegedly tried to block a county investigator from speaking with the mother of De'Marquis Elkins, one of the suspects in the case, reported NBC affiliate WTLV.com. Brooks was also indicted on unrelated racketeering charges in neighboring Camden County earlier Thursday, The Florida Times-Union reported. He was charged with taking money and influencing others in the local government from 2009 to 2011, the paper reported. Corbett, the Glynn County undersheriff, confirmed Brooks was indicted, but couldn't confirm the details. Authorities investigating baby Antonio's death arrested suspects Elkins, 17, and Dominique Lang, 15, last Friday. Over the course of this week, they also arrested Elkins' mother, aunt, and sister for tampering with evidence. Elkins' sister, Sabrina, 19, and mother, Karimah, 36, are still in custody, without the possibility of bond. A handgun was discovered about two miles away from the crime scene, submerged a marsh, the Brunswick police spokesman said yesterday. On Friday, Corbett said that Elkins' mother, Karimah, who is still in custody, faces a second charge of possession of a firearm by a convicted felon, but said he couldn't elaborate on the charge. The only eyewitness to the shooting was Antonio's mother. West said when she insisted she didn't have any money on her, the older of the two teens pointed a handgun at her. "He says, 'Well, I'm gonna kill your baby,'" West said last week. "I put my arms over my baby and he shoves me. And then he shot my baby right in the head." Both teens have been charged as adults.